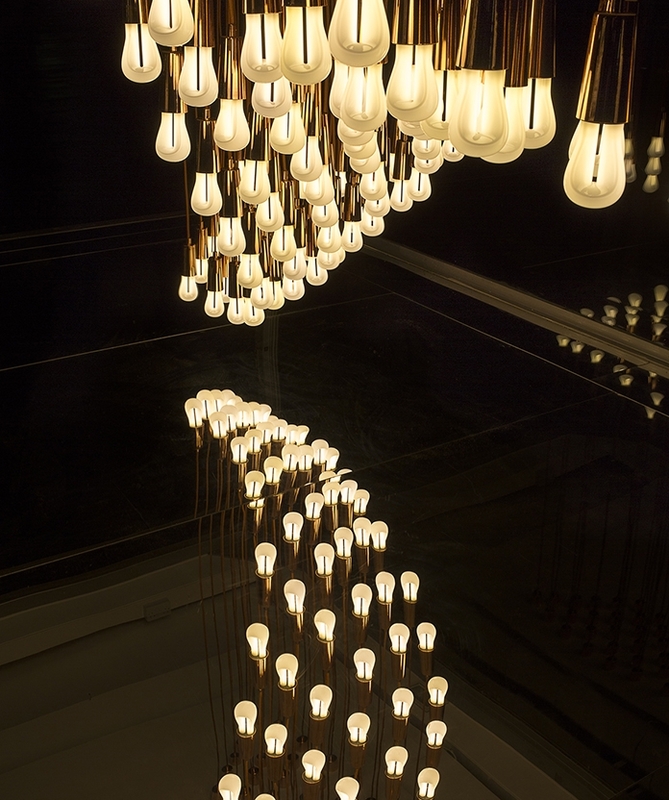 The Plumen 002 has just won Best British Sustainable Design in the ELLE Decoration British Design Awards 2014. After the 001 opened our eyes to what could be done with a simple CFL bulb we have been waiting with baited breath for what could possibly come next. The new Plumen 002 is modest and comfortable in its own skin, a simpler design that offers more versatility within its placement yet still pushes the boundaries in a sleek and beautiful way. The new lamps are geared towards decorative or unshaded lighting, running at 6W (equivalent to 25W incandescent), 2500°K colour temperature (very warm white) and producing 245 lumen these will not strain the eye or produce glare when used bare. 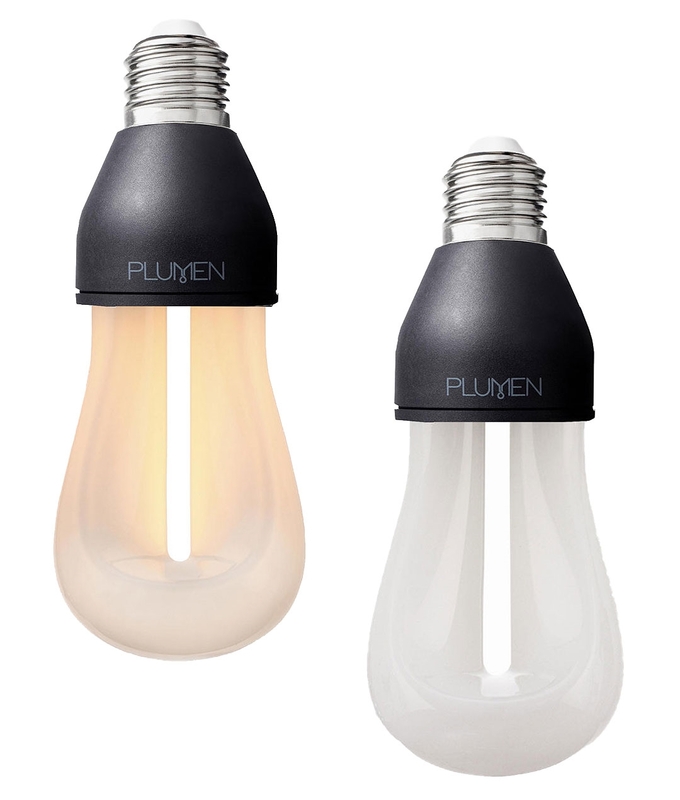 The Plumen lamps use 80% less energy and lasts 8 times longer than incandescent lamps, giving you the opportunity to purchase an ecological product with style. It works just like any low energy lamp but it has a lot more presence. 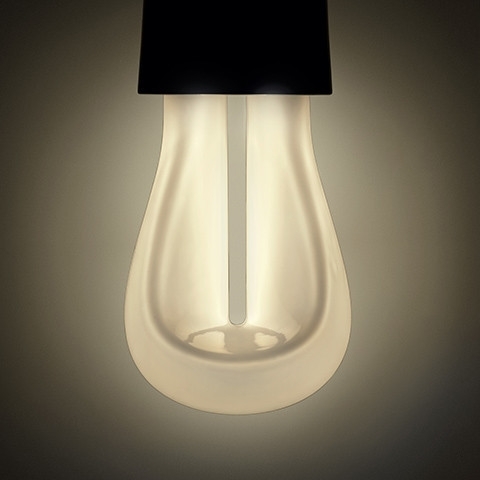 Try using this with our Plumen Pendants, Bundle Pendant Lamps or create a feature display with colour cable. Lamp Dimensions: 163mm x 65 x 65mm. Warm-Up Time: Less than 30 seconds. Screws into any standard lamp fitting, get creative with placement! This compact fluorescent is not dimmable. More appeal than the norm... and now dimmable!